Coconut Curry Chicken has such a burst of flavor, it wakes up your mouth. If you haven’t made Coconut Curry Chicken at home, you really should try one of these recipes! Click here to PIN Three Mouth-Watering Recipes for Coconut Curry Chicken! Click here for The BEST Instant Pot or Slow Cooker Teriyaki Chicken! Each of these Three Mouth-Watering Recipes for Coconut Curry Chicken made me want to add Coconut Curry Chicken to my dinner menu ASAP! Chicken breast or thighs, coconut milk, curry powder and other tasty ingredients create deliciously creamy chicken curry you could serve with rice, cauliflower rice, or naan. We love the flavors in all these coconut curry chicken recipes, so we’re updating this Friday Favorites post to include recipes for the Instant Pot or Slow Cooker so you can choose the method that suits you. Whether you’re making one of these Coconut Chicken Curry Recipes for a weeknight dinner or for special guests on the weekend, your family or guests will be delighted. Don’t you agree that this sounds like a great dinner idea? 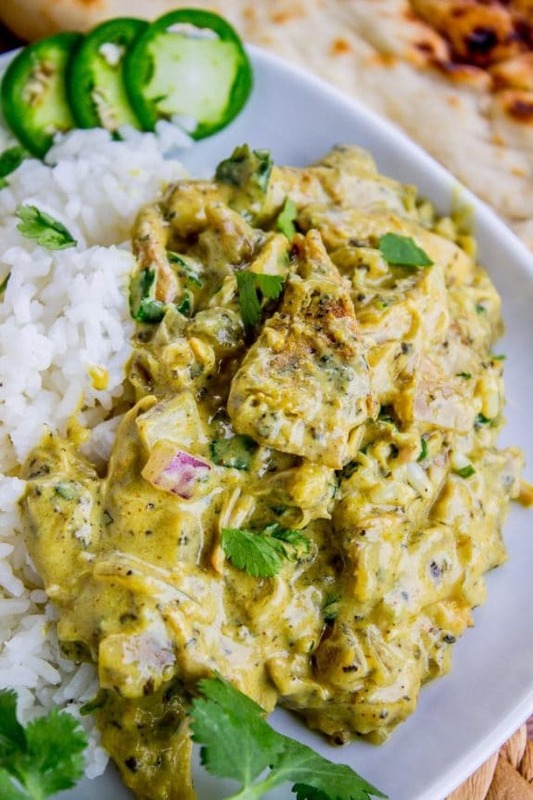 Karen says this Slow Cooker Basil Chicken in Coconut Curry Sauce from The Food Charlatan is one of the best chicken curries she’s ever had! 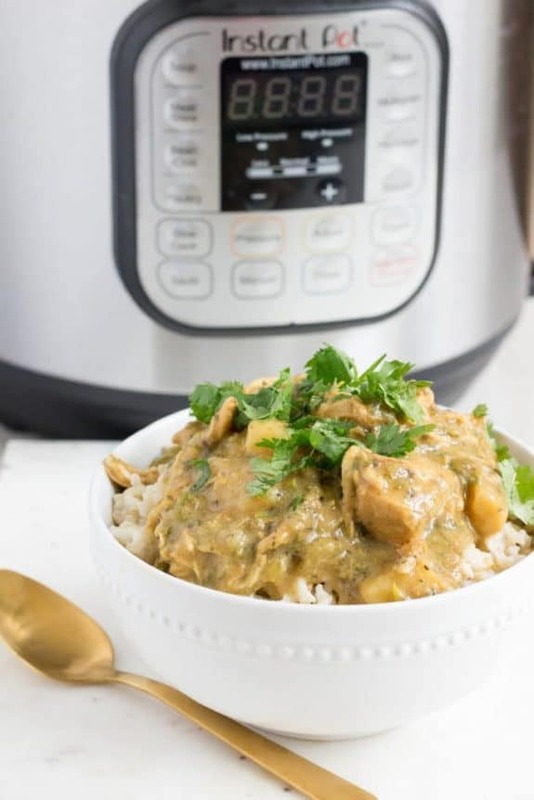 This Instant Pot Chicken Coconut Curry from Bite of Health Nutrition takes only 10 minutes of prep and 12 minutes to cook! If you love cashews, then this Slow Cooker Coconut Curry Cashew Chicken from Creme de la Crumb is the one to try!